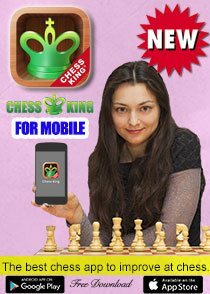 I am glad to announce that I will participate in the Peace and Sport International Day of Sport for Development and Peace, on April 6, 2014, and will play a goodwill simul on www.chessking.com at 8 PM Moscow time. More details will follow soon. You will recall I was named Champion for Peace (see Press Release, with other champions for Peace, among which you can find champions Novak Djokovic, Yelena Isinbayeva, Paula Radcliffe, Marie-José Pérec and many more) and inaugurated a Chess for Peace program in Puerto Tejada, Colombia. 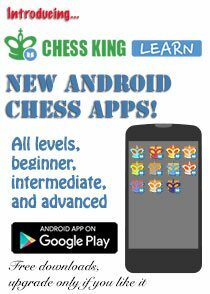 I also supported the project “Chess for Creativity and Leadership” in Palestine. 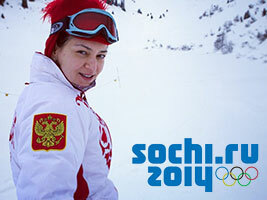 The XXII Winter Olympic Games will start in less than a month in Sochi (Russia). Alexandra Kosteniuk writes about her passion for sport and the Olympics and tells about her anticipation for the beginning of these Games (text in Russian, use Google to translate). 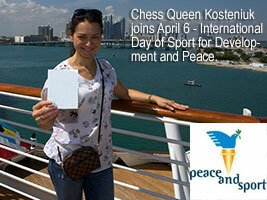 Chess Queen Kosteniuk’s Peace Message: Play Chess, No Wars! Below you will find a 4-minute interview I gave last time I was in Sochi at the Peace & Sports Forum. 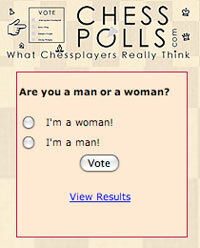 I consider it my duty to do the most I can to promote Peace in the World, and Chess helps me to do that! 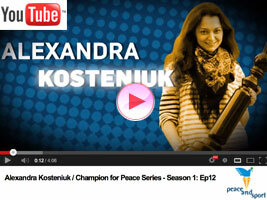 Watch the video to see my message of Peace. You will recall I was named Champion for Peace (see Press Release, see the current champions for Peace, among which you will find champions Novak Djokovic, Yelena Isinbayeva, Paula Radcliffe, Marie-José Pérec and many more) and inaugurated a Chess for Peace program in Puerto Tejada, Colombia. 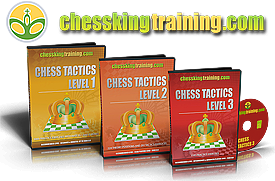 I also supported the project “Chess for Creativity and Leadership” in Palestine. 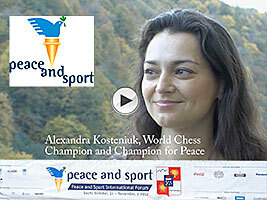 This week an 8-minute video interview by Peace and Sport was published, with Chess Queen™ Alexandra Kosteniuk, a Champion for Peace (see Press Release) in the organization Peace and Sport supported by H.S.H. Prince Albert II of Monaco, speaking of her love of chess and how chess and sport can promote peace in the world. Alexandra was at the 2012 Sochi Forum, together with other great champions, such as Elena Isinbayeva. 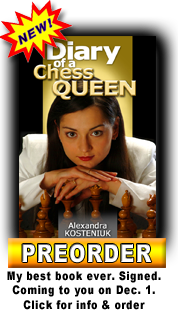 You will recall that Alexandra inaugurated the chess program in Puerto Tejada, Colombia and has supported the chess program in Palestine/Israel. Read the full report of the Sochi Conference at this link and check out some photos below. 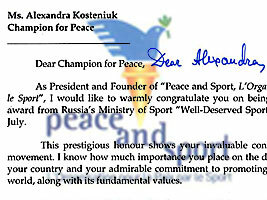 I got a very nice letter today from the President of the not-for-profit organization Peace and Sport, for which I have been a “Champion for Peace” for a couple years now (see the official 2010 Press Release). I helped to inaugurate a chess program in a poor area of Colombia Puerto Tejada, and I have been the godmother of the program “Chess for Creativity and Leadership” to empower Palestinian women thanks to chess. I hope to be able to help promote Peace in the world more in the coming months with Peace and Sport. In the meanwhile, I am planning on going soon to the Peace and Sport 2012 International Forum in Sochi at the end of October/beginning November and I will be a speaker there. 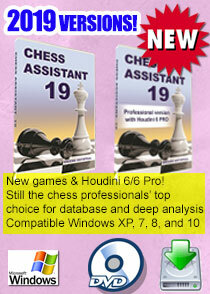 Want to get my King & Queen emails? Please do this for me! Join me: Twitter, Facebook, YouTube! 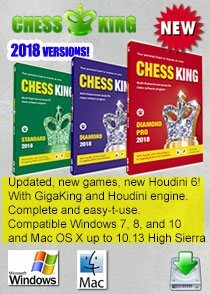 Your link here - free! Note: If you place my banner on your blog I will list your link here! See below for banner and prize claim.